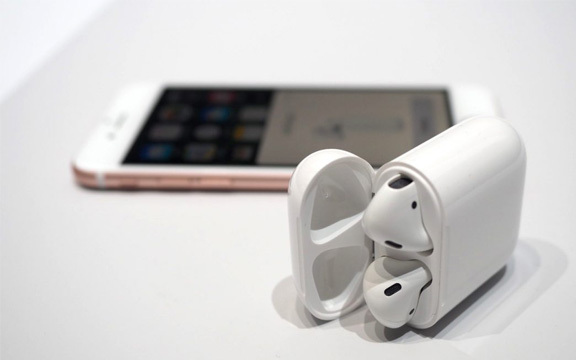 ← Should You Buy Apple’s New Wireless Earbuds? I have talked and written a lot about Apple’s AirPods. And I have read so many good reviews that I wanted to get a pair — that is, until I actually tried them. This doesn’t mean that you shouldn’t consider the AirPods, which are probably the best wireless earbuds available. On Monday evening, I walked into the Apple Store at the Americana on Brand in Glendale, CA. I was told they got some AirPods in Monday morning, but that they sold out immediately. However, I was able to try them out and left happy that I didn’t put down any cash for them. 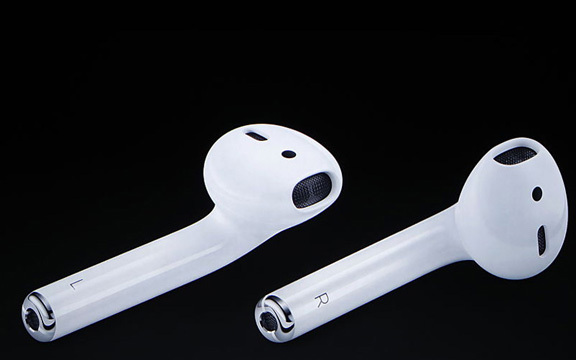 I noticed that the AirPods were taken out of a charging case that looked like the outer shell for dental floss. I thought they would easily fit into my ears, but that wasn’t the case. The AirPods don’t come with a variety of ear tips like many other in-ear products. I finally got them to stay, and the salesman told me not to worry — they wouldn’t fall out. He was right — I shaked my head like crazy, and they stayed in. He wouldn’t let me use the AirPods with my iPhone, but instantly paired them to the store’s iPhone. I asked for a song with a lot of bass, so he put on “Red Lights” by Tiesto. Then, that’s where the problems (at least for me) started. After using headphones by Bose, Bowers & Wilkins, Sennheiser, and Sony for the past five years, my ears found the audio quality to be horrible as there was hardly any bass. The sound was very tinny. The AirPods don't have the best audio quality. While the audio quality was slightly better than the audio quality of the regular Apple Earpods that come with the iPhone, those are free. These cost $160! I walked out of the store thinking that Apple had pulled another fast one on the general public, who believes they have to run out and buy Apple’s latest “revolutionary” product. However, I then thought about consumers who don’t usually use $300 headsets to listen to music. I thought about how many people will use the headphones to answer calls, which the AirPods work surprisingly well at according to most reviews. Unfortunately, I wasn’t able to test this out at the store. A colleague of mine, who bought the AirPods, tells me that when he wants to have a huge music listening session, he will use his Bose headphones. He says that for everything else, the AirPods are perfect and incredibly convenient. Perhaps he’s onto something here. This entry was posted in Review and tagged AirPods, Apple, iPhone. Bookmark the permalink.